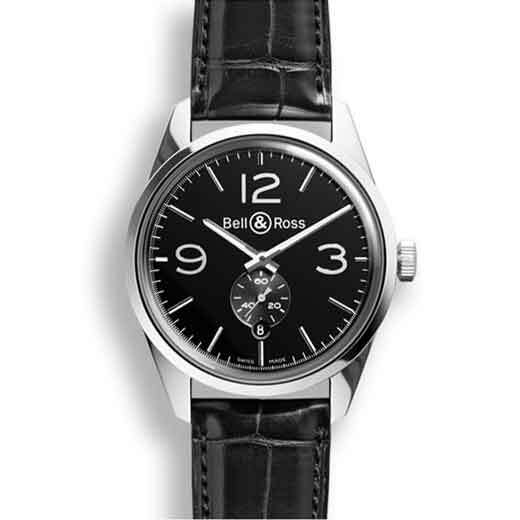 Bell & Ross 123 Heritage in stainless steel. Black dial with Arabic numerals and stick hour markers. Black leather strap. If you would like further information regarding one of these timepieces or a different model, please do not hesitate to contact us.